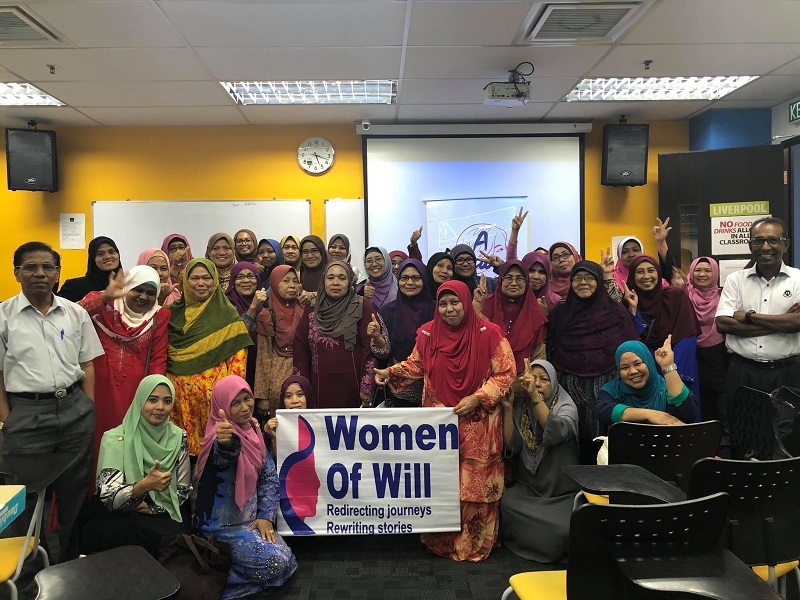 Women of Will president Datin Wira Goh Suet Lan shares the organisation's development and the difference it continues to make in the lives of its beneficiaries. 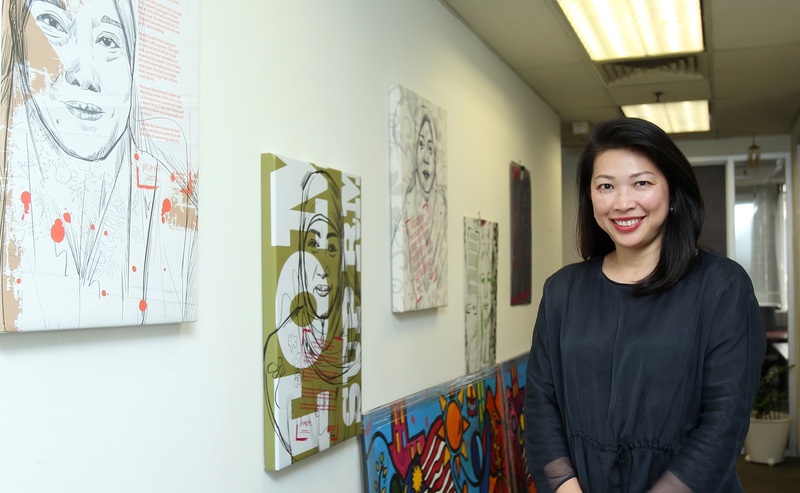 Incidents witnessed as a child can go on to have a huge impact on one’s life, as Datin Wira Goh Suet Lan, president of Women of Will (WOW), realised. As a seven-year-old, she saw “a man kick a woman to the ground and pull her hair, and nobody made a move to help”. The incident that took place in a shopping mall stayed with Goh, who witnessed similar mistreatment of women later in her life. Over time, she developed a keen interest in championing women, and pursued this by volunteering for women-related causes during her university days in Canada and at All Women’s Action Society and Women’s Aid Organisation upon returning home. She recalls her earliest involvement with Tech Outreach (as WOW was then known) as a volunteer business coach — a role that Goh, who was a tele-counsellor at that point, relished as it allowed her to foster a deeper connection with beneficiaries. The non-profit organisation was then operating on the Grameen banking system of 2006 Nobel peace laureate Prof Muhammad Yunus. It was a microcredit financing model that gave loans to women without requiring any collateral or guarantee. Two years after joining the organisation, she rose to the challenge when offered the chance to lead it. Not long after, a rebranding exercise gave birth to WOW as it is known today. Meanwhile, Tech Outreach — which aims to transform disadvantaged communities in Malaysia and a few other international countries through microcredit financing and entrepreneurship development — now operates independently from WOW. The 2016 rebranding has resulted in some changes, namely the introduction of a community fund. “Previously, loan repayments went into a revolving fund. As we worked with more women in PPR (Program Perumahan Rakyat), we realised that there were issues and needs within the community that the women themselves could positively impact. Today, repayments go into a community fund,” Goh says, explaining that the funds for the loans originate from corporate funders, private donors and grants from foundations. The community fund will have varying benefits for each community, based on a need analysis. In PPR Keramat Pangsa, for instance, it will be used to establish a childcare centre. In the past three years, WOW has worked with 1,000 women from various PPR areas who were selected after a stringent process. The mission to empower women to transform their lives and create self-sustainable communities is achieved not only via financial assistance but also by providing entrepreneurial training and the exposure needed to grow their businesses. “We make sure the candidates have the attitude and aptitude to run a successful business … If a candidate has outstanding electricity and water bills, for instance, chances are she will use the loan to pay the bills instead,” Goh says, referring to the red flags they look out for when shortlisting candidates. Other red flags include the number of dependants they have, the loans they have taken out and their health issues, with a recce of their homes conducted to verify the information. That said, a pilot project in Sabah — made possible by a partnership with Yayasan Hasanah — sees WOW venturing out of the community that it usually works with. “Our role in Sabah is to increase economic income, assess opportunities available in the urban areas, grow businesses and ensure children do not have to walk a couple of hours a day to get to school,” says Goh. 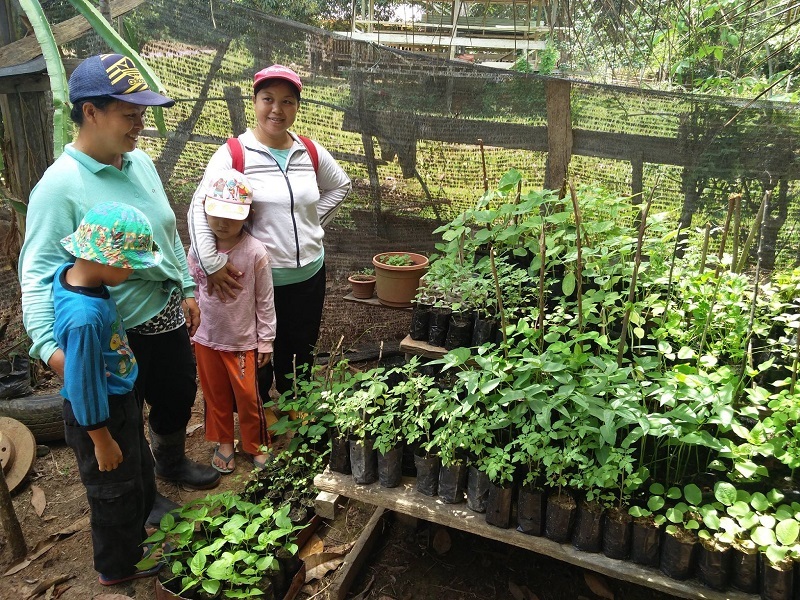 In Keningau, WOW is encouraging contract farming among the women who have land but do not possess the skills or finances needed to build a business. It is also building a supply chain that includes hotels. While the problems faced by the rural community differ from those of the urban poor, the challenges for WOW remain unchanged. “Every time we engage with a community, we can rattle off an entire list of issues and opportunities for us to grow and develop them … [For example,] we run activities for children once every three months and it would be lovely if we could go every week. But it is not our area of expertise, nor should it be,” says Goh. “The challenge is to remain focused on what we do, that is supporting the women and allowing them to build their own families and communities rather than us doing it for them. I think that is the strongest level of empowerment, where the women execute the work which gives them a sense of ownership,” Goh says, summing up the values that sit at the core of WOW’s work in women empowerment. This article first appeared on Mar 11, 2019 in The Edge Malaysia.